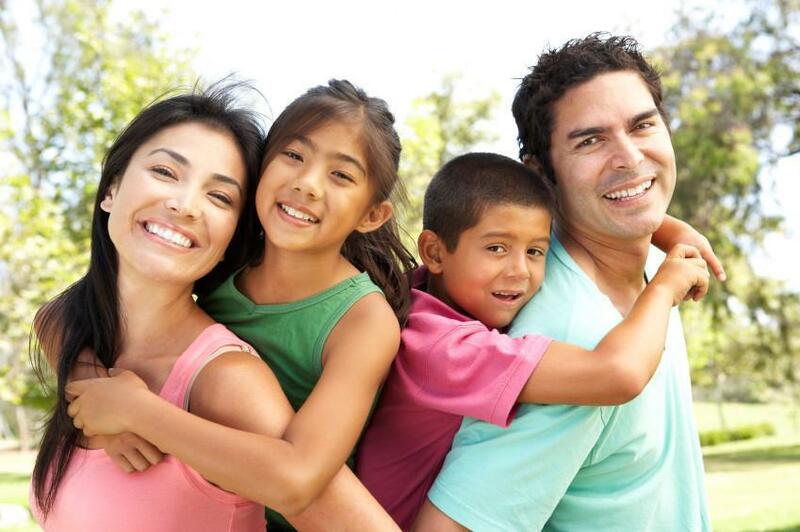 The professional team at Peak Dental is pleased to offer all the comprehensive dental services your family needs. As general dentists, we are qualified to offer a variety of high-quality services to patients of all ages in San Diego, Poway, Rancho Bernardo, and the surrounding areas. We all have different oral health needs at different stages of life. Before we ever start any treatment, Dr. Nguyen makes it a point to get to know you and learn about your concerns and what’s important to you. We love spending time with our patients, and this results in closer relationships, more trust, and a better understanding of your needs. Preventive dentistry is the cornerstone of any good treatment plan. Routine professional cleanings and exams are easy, and the best way to protect your family against future oral health problems. If a problem like gum disease exists, we can provide effective treatments to prevent it from damaging your teeth. Damaged teeth are a problem because they affect your appearance and your self-confidence. They also threaten the oral health of surrounding teeth. At Peak Dental, we can address just about any type of dental problem you are experiencing. Our fillings and crowns are highly durable and blend in beautifully with your natural teeth. If a tooth has been severely compromised by decay or trauma, we can perform gentle and comfortable root canals to relieve your pain and restore the tooth. We do everything possible to keep your teeth healthy and intact. But situations occur where the healthiest choice is to remove the tooth. If this happens, you can count on our compassionate care and gentle touch to keep you as comfortable as possible throughout the procedure. When you’re ready to talk about tooth replacement, we’ll present all your options like implants, bridges, and dentures. Having healthy teeth is critical, but knowing your smile is as attractive as it can be can do wonders for your self-confidence. The answer for you is different than it is for anyone else. In your case, it may be as simple as a tooth-colored filling or dental bonding to correct some minor flaws. For more involved problems, we may suggest beautiful porcelain veneers. Porcelain veneers correct a wide variety of problems and can usually be completed in just two or three visits. Teeth whitening is a very easy and economical way to make a dramatic impact on the appearance of your smile. You’re busy, and the last thing you need is to spend a lot of extra time fitting in dental appointments for you and your family. We do everything possible to make things easy for you by offering early morning and extended evening hours. Now you don’t have to make the choice between work or school and your important dental care! Nearly everyone has dealt with a dental emergency. We know how upsetting this can be, and if it is during business hours, we will do our best to see you the same day. After hours, just call our office and you’ll receive a message explaining how you can get in touch with us as quickly as possible. Please Call for Your First Appointment! Our team would welcome the chance to get to know you and your family and show you what first-class dental care is really about. Give us a call today, and let’s get started!